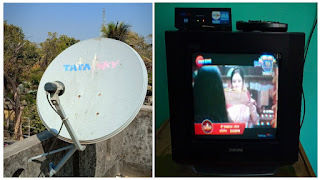 Nowadays our local provider to provide us TV cable their have some problem and we don't watching so many TV channels and we are thinking to connect to a cable then I suggest to connect to TATA SKY. 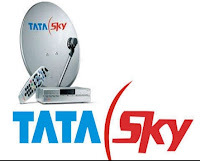 TATA SKY is an Indian direct broadcast satellite television provider. It is very popular television provider in India and it have great services in our West Bengal also. We are using TATA SKY before 6 months. We recharge Rs.144 for watching only regional bengali packs. There is Rs.99 for basic charge with Rs.45 for only all bengali channel packs and total cost Rs.144/month. I'm recharging to my TATA SKY through PhonePe, Amazon pay, FreeCharge, Paytm app and get some cashback every recharge. Here we watched all bengali channel basically my mom and grandma loved to watching Star Jalsa & Zee Bangla's serials. Also uncle loved to watching some bengali news channel like 24ghanta, ABP Ananda, Kolkata Tv, CN news, Akash Bangla etc and also my sister loved to watching Sangeet Bangla, Jalsa Movies, Zee Bangla Cinema, Colors Bangla, Ruposhi Bangla etc. Sometime I also join in my family for watching serials together. I also watching TATA SKY TV in my mobile through ''TATA SKY TV'' mobile app. Here I watched only my recharge packs. But basically I'm using Jio TV for my mobile for watching mobile TV. But sometimes Jio TV problem to open their some reasons then I use TATA SKY mobile TV. But now new connection rate is approx Rs.3000 and basic charge Rs.154/month for only watching free channels others packs you need to select or choose your favorite channels and pay for only these channel.